It may come as a surprise that the term “Black Friday” did not originate with shopping. It was first used to reference a stock market crash that occurred on September 24th, 1869. It wasn’t until the 1950’s that the name became associated with retail. On the day after Thanksgiving, people would fill the city of Philadelphia for the yearly Army-Navy football game. Items were repeatedly stolen from stores during this chaotic time. Traffic would clog the streets, thus resulting in the policeman giving it the title of Black Friday. Around 1961, Philadelphia store owners caught onto the fact that they could make a healthy profit during the busy Friday. They were worried that the negativity associated with the cop-given name would put a damper on their attempts at sales. They tried to change the name to “Big Friday.” The name change didn’t stick. For twenty years the name and the money-making concept stayed within the Philadelphia area. It did not expand to the rest of the country until the 1980s. Another shocking fact is that for years Black Friday wasn’t the biggest shopping day of the year. Up until 2003, the Saturday before Christmas held this title. But as the Black Friday concept grew in popularity, more and more stores joined in. Gradually the big sale day began to expand beyond a single day. For the first time in 2011 stores opened on the evening of Thanksgiving. Even though Thanksgiving is strictly an American holiday (Canadian Thanksgiving is celebrated in October), the allure of Black Friday has spread to other countries. In 2007 Canada started their own Black Friday deals to help keep business within their borders. In 2010, thanks to Amazon, the United Kingdom joined in on the craze, and in 2011, Romania caught the buzz, followed by the Netherlands, Germany, Austria, and Switzerland. 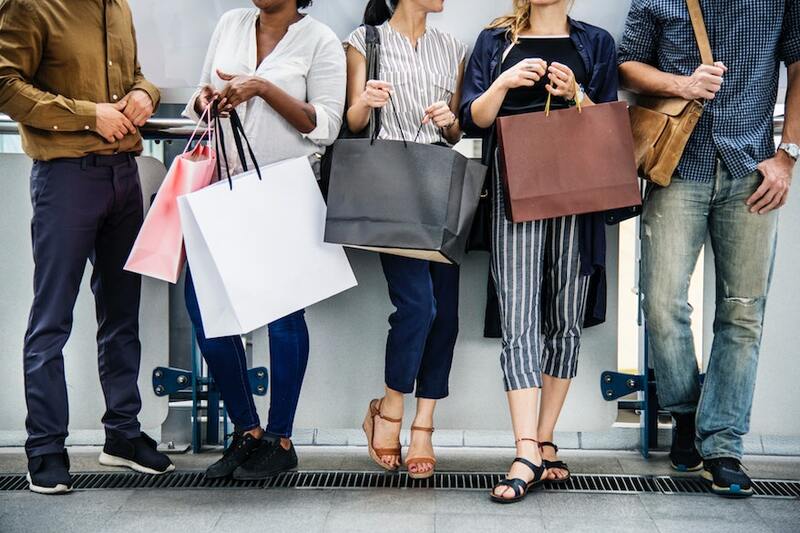 For many years Black Friday consisted of only in-store deals, but as the use of the internet grew more companies started to branch out into online sales as well. In 2005 the National Retail Federation (NRF) took note that more and more people were doing their shopping online on the Monday after Thanksgiving. Thus Cyber Monday was born. It is believed that the increase in shopping on that particular day was because a lot of people at the time didn’t have access to fast internet at home, thus waiting until they were at work. Stores quickly caught on to this phenomena, helping to make Cyber Monday one of the most popular days to shop online.